In order to understand the local realities of health and development initiatives undertaken to reduce maternal and infant mortality, the author accompanied rural health nurses as they traveled to villages accessible only by foot over waterlogged terrain to set up mobile prenatal and well-child clinics. Through sustained interactions with pregnant women, midwives, traditional birth attendants, and bush doctors, Maraesa encountered reproductive beliefs and practices ranging from obeah pregnancy to 'nointing that compete with global health care workers' directives about risk, prenatal care, and hospital versus home birth. Fear and shame are prominent affective tropes that Maraesa uses to understand women's attitudes toward reproduction that are at times contrary to development discourse but that make sense in the lived experiences of the women of southern Belize. Amínata Maraesa, a medical anthropologist, is co-editor of Risk, Reproduction, and Narratives of Experience (also published by Vanderbilt) and director of the documentary film Woman to Woman: Doula Assisted Childbirth. "Dr. Maraesa presents a highly readable and insightful analysis of the cultural and biomedical factors that interact in women's decisions concerning childbirth in the Toledo district of Belize, a place composed of multiethnic communities that are largely rural and poor. Through vivid case studies she demonstrates how cultural factors such as the private nature of pregnancy and childbirth, shame, fear, belief in spirit-matter, the humors, and practices of "'nointing" and massage, as well as practical factors such as affordability, transportation, and accessibility, influence decisions of pregnant women and their caregivers concerning whether to give birth at home with family members, a traditional birth attendant, or other local healer, at a health center, or at a hospital." "Maraesa provides a fascinating view of the way that local understanding of birth, pregnancy, and birth attendance intertwine with notions of risk and shame among multiple ethnic groups in Belize. She illustrates shame's powerful ability to shape people's perceptions of their reproductive reality. The book is beautifully written, engaging, articulate, and warm." 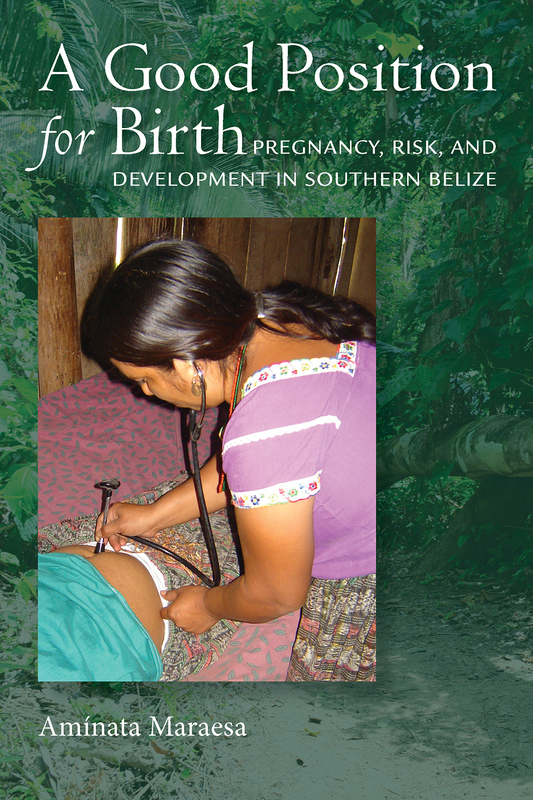 "Maraesa's vivid account of reproductive care practices in the southern region of Belize is a page turner. In what some might characterize as a sleepy and remote Caribbean outpost, removed from the Belizean government and NGOs' numerical goals for improving infant and maternal mortality, pregnant women and their families actively engage a wealth of ideas, practices, and beliefs for navigating pregnancy and childbirth, as well as the social norms governing acceptable and unacceptable uses of sexuality, spiritual practice, biomedical knowledge, and norms of behavior. With Maraesa as our conflicted, astute, compassionate, and sometimes barefoot guide, we find a path in the forest created by the jumble of underfunded and poorly implemented public health mandates and complicated social relations, and may wind up questioning what we thought we knew about the promotion of maternal and infant health in marginalized communities."